If it involves the mind, we can help! 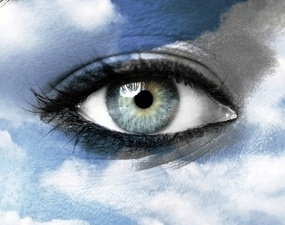 Hypnosis has created miraculous changes in the lives of many and it can help you to become the person you always wanted to be, to become the Limitless You! Quicker and more effortlessly than you can imagine! Click on the links below for more information! And MUCH MORE! Recall past lives, heal old relationship wounds, let go of grief, get relief from allergies, stop grinding your teeth, unleash your psychic potential, achieve lucid dreaming, accelerate healing, become all that you can be in almost any way you can imagine through the power of your own amazing mind. Call Connie now for a free consultation!! (425) 564-8608. For the best Seattle hypnosis experience! We offer a free private in-office consultation, but times book quickly and are limited. Call now to reserve your time to discuss the improvements for your life. You are and will always be someone I highly regard. Even though you don’t hear it, you probably feel it in your heart, that I thank you on a daily basis and consider you a blessing in my life! I love you Connie!” –Patty Fields, Bothell, WA. Here’s a short video introduction to Connie and her Seattle area hypnotherapy and NLP (Neuro-Linguistic Programming) practice. Do you want the best?…the most proven successful, the most highly trained, caring, client-centered, results-driven professional hypnotherapist in the State of Washington? That’s Connie Brannan, Master Hypnotist & Licensed Trainer of NLP ®. As you can tell from the title of the page, YES! Hypnosis works. 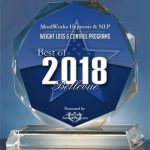 Mindworks Hypnosis wins numerous “Best of Bellevue” Awards. 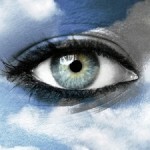 “I have to say, I’ve been quite amazed by how helpful the hypnosis/NLP session has been. I do notice a major difference in the way I interact with people, especially those that I did not know prior. I’ve made more friends in the past 8 weeks since our session than I had done in the previous 6 months!” –Former social anxiety sufferer, Seattle, WA. “I’ve lost 20 pounds!” says Lori C., of Seattle, WA. Fear of Public Speaking – GONE! Hello there Connie. This Thursday will mark 6 weeks of NO SMOKING!! Yahoo!! The journey so far has been interesting for me…I have had a few dreams where I did light up and was very disappointed at myself. Nice to wake up and realize “I’m good.” — Dawn Abourezk, Seattle, WA. Fear of Medical Procedures — Gone!